At MaxPowerSoft we’ve attempted to make our services more helpful based on user input from the community. We love user feedback and love to hear how you would like to enhance Active Directory Reports. In fact, the very reason we are writing this blog is because we have made an increasing number of enhancements unique to our current customers that requested each change. So what have we done to make our product better than the competition? In this short 2 part series we will walk you through what makes our product help you handle real-time reporting accurately on your Active Directory installations. MaxPowerSoft’s Active Directory Reports loads all domains in a current forest, including trusted domains. 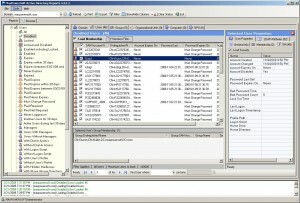 User can see Password Policies and LDAP Attributes of any selected Domain. Possibility to select / deselect domain controllers to include / exclude them from scanning when a user selects a report with non-replicated attributes (i.e. lastLogon). There are 41 pre-defined user reports. Using General filter user reports can filtered by Created date/time, Changed date/time and can be limited by maximum number of records to load. All groups except primary group. All security groups including nested membership. Group membership can be loaded with all attributes or only DistinguishedName attribute. 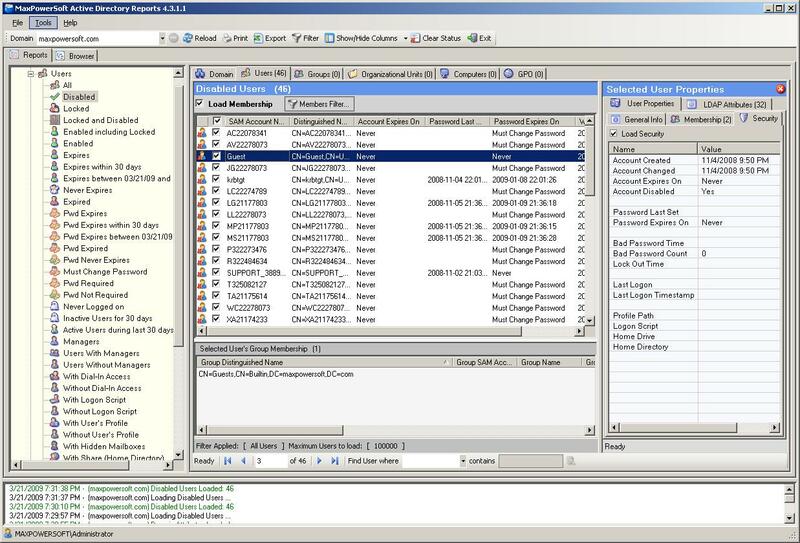 ‘Selected User Properties’ window displays the detailed information about selected user including general user information, membership, security information and LDAP attributes. This concludes part 1 of our recent changes. Part 2 will include changes to our Groups, Organizational Units, Computers and GPO. Thank you for taking the time to assess the changes we have made. While you are at it. Feel free to download a latest copy of Active Directory Reports x86 or x64. Also, come and get a free trial registration as well. Come and download Active Directory Reports here!